Environmental awareness is an integral part of our life. Be it air, water or land everything depends on the way it is used. It is we who has the power to decide whether we want to stay in a clean or a polluted environment. It is in our hands and also in the hands of our future generation to make a healthy environment for ourselves. 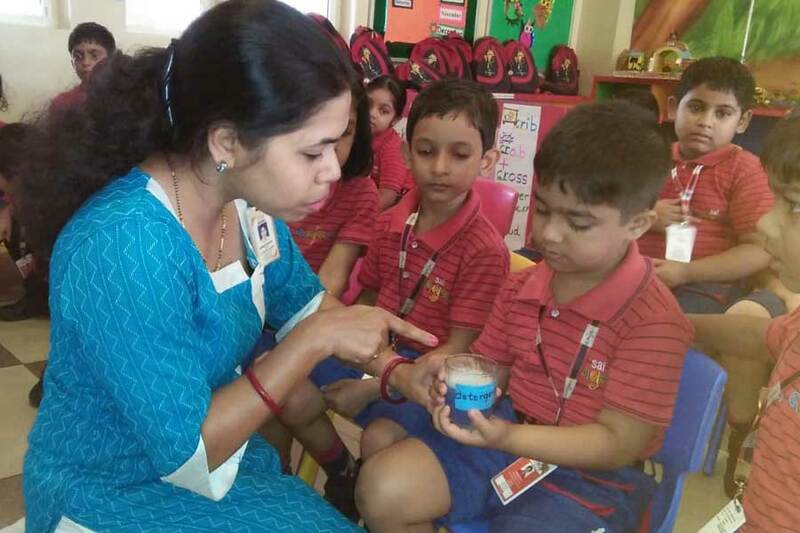 So, to create awareness among the students on the causes of air and water pollution and how to prevent it, an activity was conducted for the children of KG II. 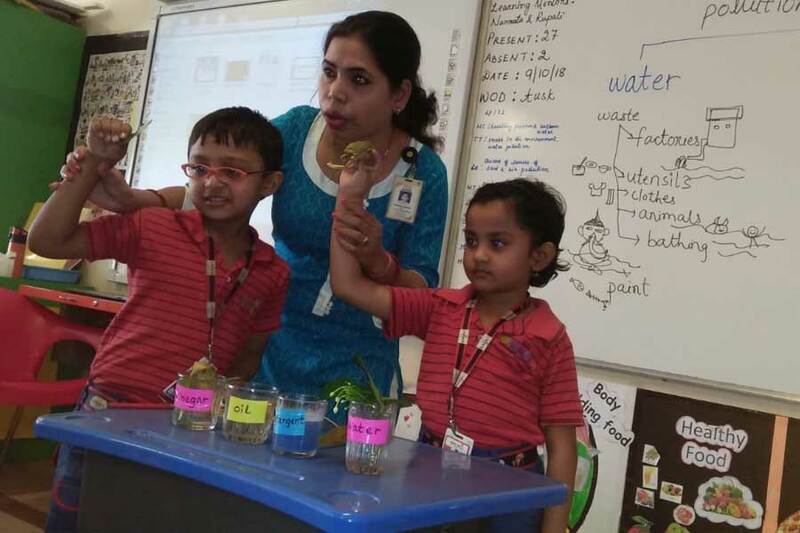 Demonstrations were shown on how oil, vinegar and detergents etc., are polluting the water which is harmful for the living beings. 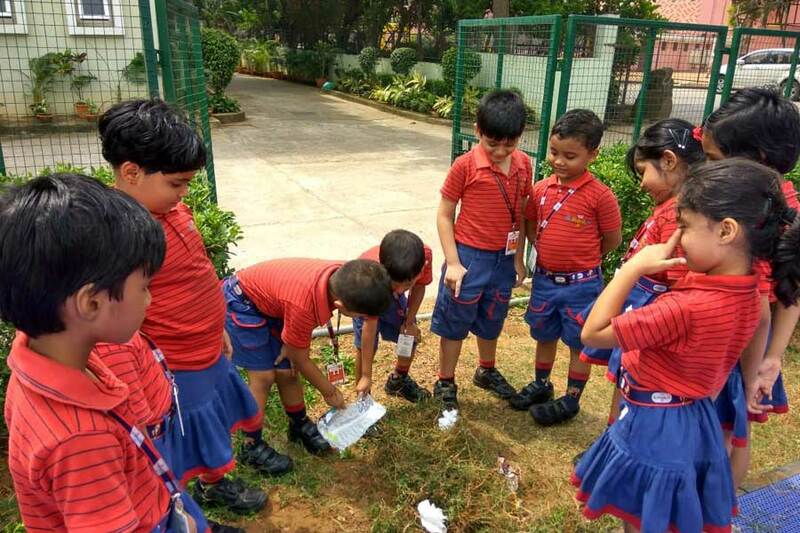 Similarly, they also learnt how garbage like plastic bags, rags etc pollute the land. Students witnessed another activity where the burning of candle created soot on a steel plate. 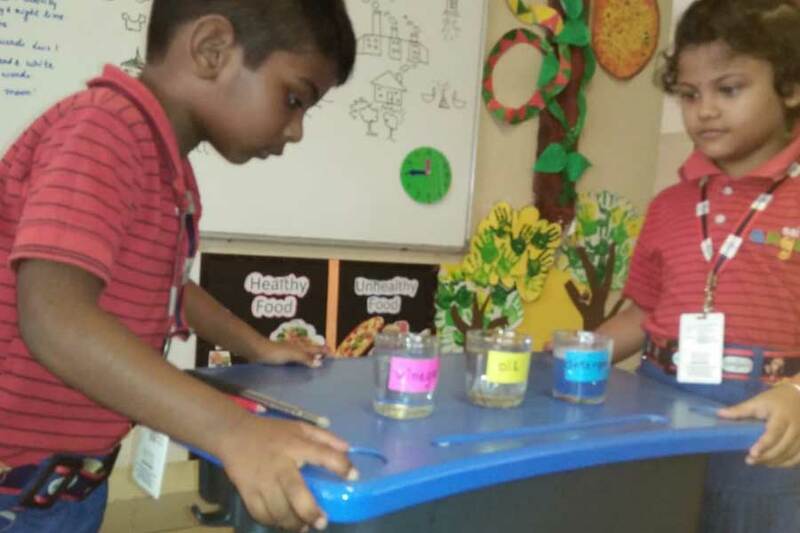 This helped them visualise the pollutants present in smoke coming out of different vehicles and industries. inter and intra personal skills.